Fitness has evolved so much over the years it truly is fascinating to follow all the trends and fads and changes that have taken place. As we have progressed as humans and gained the capacity to store and share information so much has become possible. Studies have been released and experiments have taken place that allows us to maximize our efficiency when it comes to training. Throughout time many styles of training have been developed that span everything from narrow scope performance focuses to simply making exercising more fun and entertaining for people. I, myself, believe in fitness and a healthy lifestyle no matter which way it is approached. I am also a bit of a traditionalist. My issue that I have with the fitness industry currently is that people are always trying to reinvent the wheel, developing new styles of training and innovative programs that it all just gets a little too complicated and hard to follow. If we look back in time we don’t have to go very far before many of the newer modalities we currently see did not even exist. Although some of these newer modalities did not exist humans have still been fit and muscular and powerful creatures for thousands of years. Eugene Sandow was one of the first men to approach fitness and weightlifting in a manner to sculpt and change his physique to look a certain way. If we look at him (there are statues of him but no pictures, he was a little before that time) we can see he looked fantastic. He did not have the knowledge that we all do now, yet he still was able to attain a physique we can all look at and admire. He achieved that physique with a focus on foundational, compound lifts such as squats, and presses and deadlifts. These are the exercises that have been around for years and years and have stood the test of time repeatedly. There is no question these exercises will give you the physique you yearn for so long as you do them correctly and approach your program properly. Therefore, I believe in these types of exercises and have a central focus on them with everyone that I train. There is absolutely room for other additional programming and exercise styles and ancillary work to build an even greater and robust program, but I believe the backbone of any good program that will yield results is made from foundational, compounding lifting. Let’s face it, we all want to be healthy and increase our strength, but the bottom line of training for most people is to lose fat and build muscle and develop an admirable physique. My style of training has been proven to be made of the components that will provide you with just that. 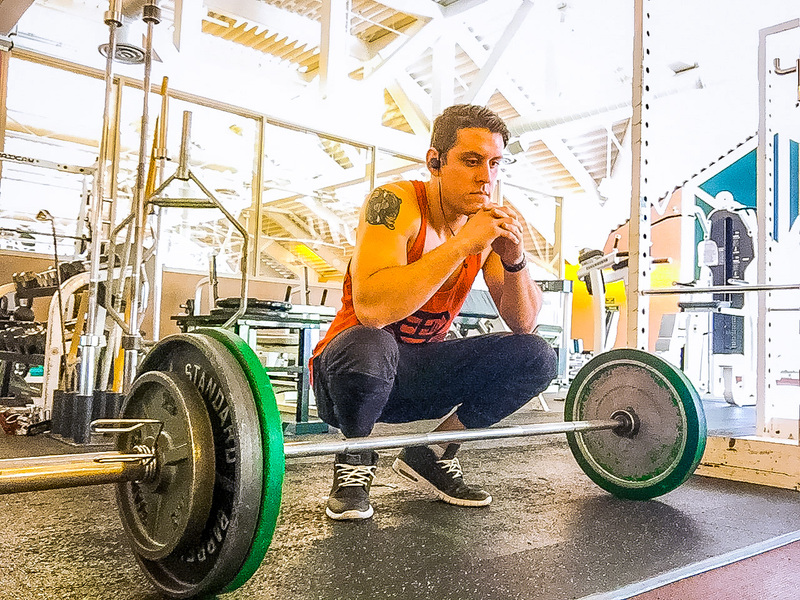 I chose to develop my training style in this way not only because of the validity and efficiency of the exercises that comprise my programming but also because I believe to find success with exercise and fitness people need to have something that is easy to follow. Something that is basic and simple. Again, so many fitness professionals in this industry try to over complicate the actionable steps involved to attain a proper physique. If I can provide a basic and elementary program to follow the chances of success increase tremendously because I will leave you with this thought. Not even the greatest program in the world will have any effect on someone if they are not able to follow it in the first place. Learn More about Trainer JJ McLaughlin and his training services at Tahoe Club 100 by clicking HERE.